GiftMyEmotions.com brings to you this fabulous gift combo which is perfect for gifting to anyone with you have adored because they deserved the heart touching hearty Presents. This gift combo includes bunch of 12 Mix roses in a glass vase. Roses are beautifully arranged in a glass vase This bouquet look more beautiful with the glass vase. Two 6 inches teddy bears complement this combo. Delight your loved ones in any special occasion with this gift combo. This is just perfect for any occasions. This gift combo includes bunch of 12 Mix roses in a glass vase. Roses are beautifully arranged in a glass vase This bouquet look more beautiful with the glass vase. Two 6 inches teddy bears complement this combo. 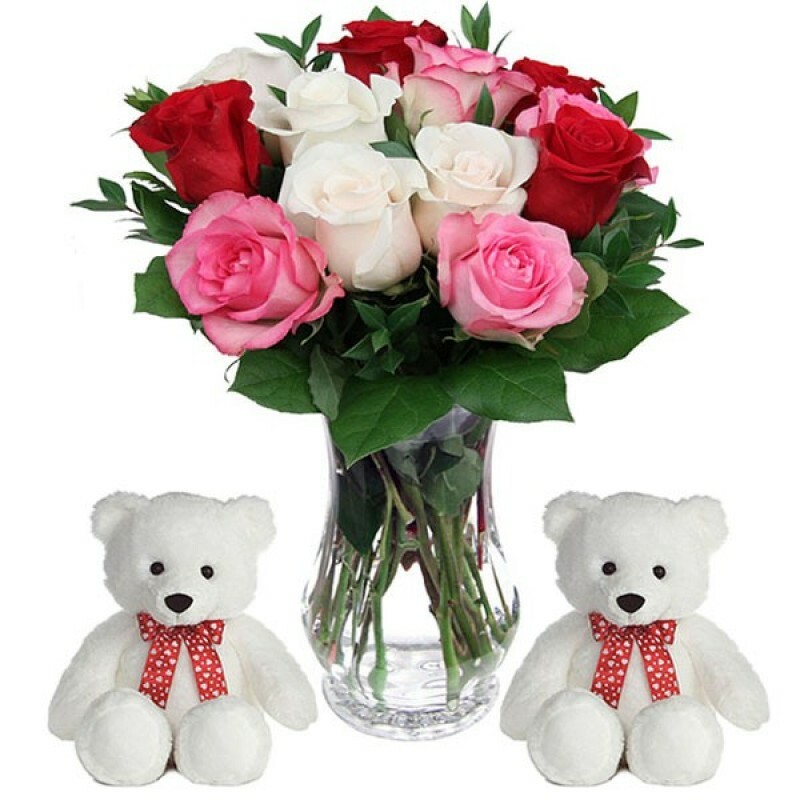 Impress Her/Him by gifting this exclusive gift combo of Mix flowers and Teddy these will make their .. Stunning way to express your love and affection for a special someone. This pack contains 12 colorfu..